Last Updated: April 17, 2019 · Published: September 4, 2018 By: Asian Caucasian 10 Comments This post may contain affiliate links or sponsored content. Hi everyone! I’m reposting this today because I’m continually asked what Asian products are essential for cooking at home. Lots of Asian recipes have many ingredients, but don’t let that scare you! Most of these ingredients are staples that you can buy and store in your pantry for quite awhile. Once you have these products on hand, the cooking part is a cinch! 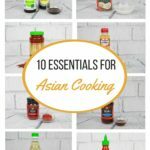 That’s why this little guide, 10 Essentials for Asian Cooking, will help you stock your pantry with the most-used products in Asian cooking. Where to find these? Most grocery stores carry these products in the Asian section, or you can buy directly through Amazon through our Shopping Page or by clicking on the links below. Search our Recipe Box for inspiration using these products and get cooking in the kitchen! Now, get cooking! 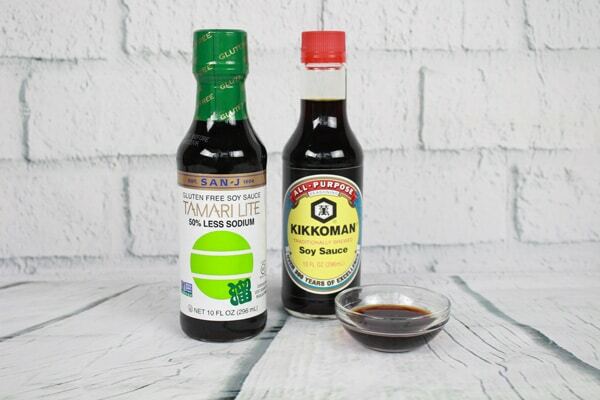 Perhaps the most-utilized ingredient in Asian cooking, there are many varieties of Soy Sauce. We tend to use the low-sodium product to keep it lighter. And now there are gluten-free options too! Rice Wine Vinegar is made from sake, or wine born from fermented rice. 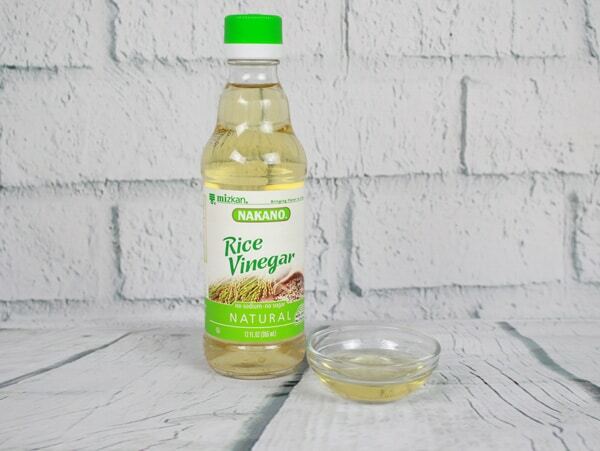 Rice wine vinegar is subtle and has a delicately sweet flavor relative to other vinegars, perfect for use in Asian marinades. This Southeast Asian condiment is used in literally everything from traditional dipping sauces to curries. 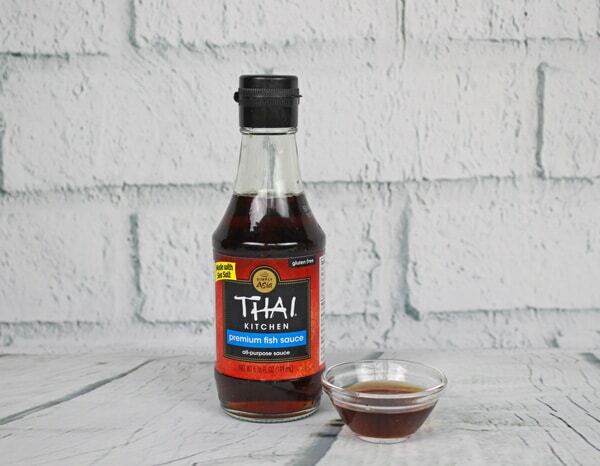 Fish Sauce adds a salty umami, savory flavor making your food taste more complex than without. It doesn’t take much of this versatile sauce to add that flavor. The most common use of Red Curry Paste is for sauces and stews. 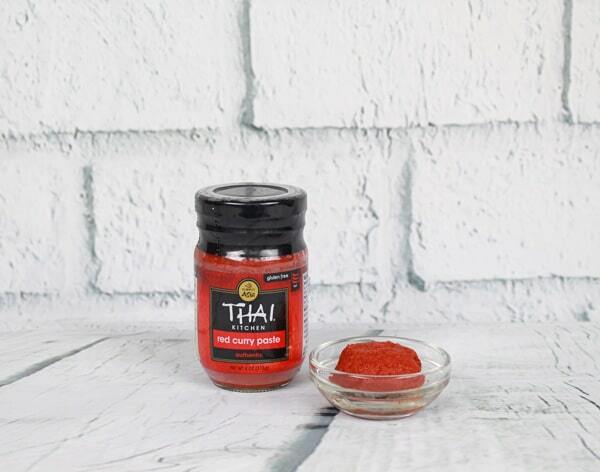 Red curry paste has a combination of lemongrass, chiles, ginger or galangal, shallots, and a few other flavorings to create a savory, slightly spicy ingredient that pairs well with most proteins. 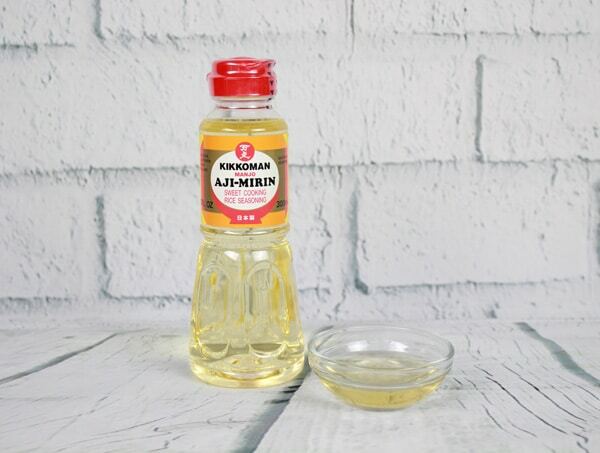 Mirin is a sweetened sake or rice wine with a light syrupy texture, used in Japanese cooking. It gives a mild sweetness to sauces and dishes and is particularly good with grilled foods because the alcohol burns off during cooking, leaving just the sweet taste. This fiery sauce is great in just about everything! 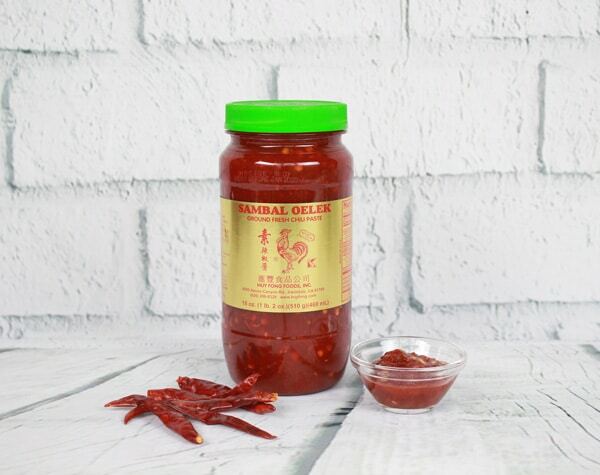 Sambal Oelek is a simple, spicy Indonesian condiment made of ground red chilies. You can use it wherever you’d use hot sauce, as a marinade, or add it to a variety of soups and noodle dishes. 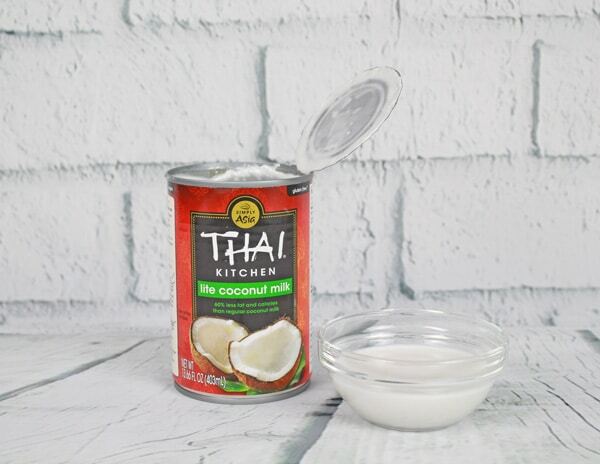 Super versatile non-dairy Coconut Milk is widely used in Southeast Asian recipes. Coconut milk adds richness to stews and curries to slow cooker meals, and a nearly endless list of sweet treats. We like to use the lite version to keep the calories low. Miso is a traditional Japanese seasoning produced by fermenting soybeans with salt and koji and sometimes rice, barley, or other ingredients. The result is a thick, flavorful paste used for sauces, soups, and spreads. 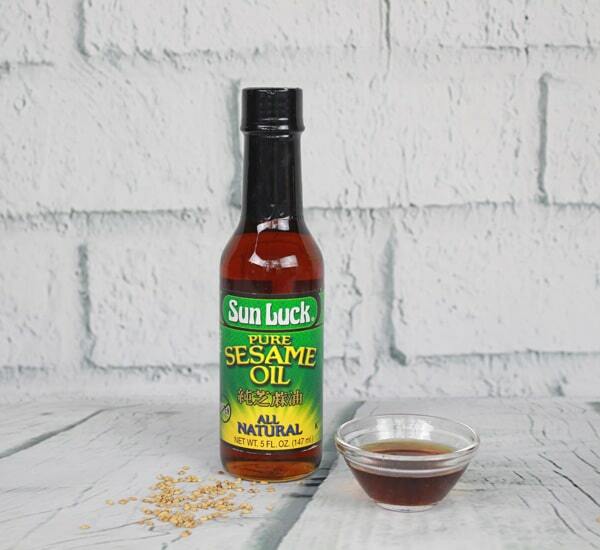 Just the right amount of Sesame Oil (a small amount) adds a heavenly, nutty, musky undertone to Asian stir-fry and sauces. This flavor enhancer is derived from sesame seeds and is super fragrant. Don’t use too much or it will absolutely ruin the dish! This potent condiment is super popular these days. 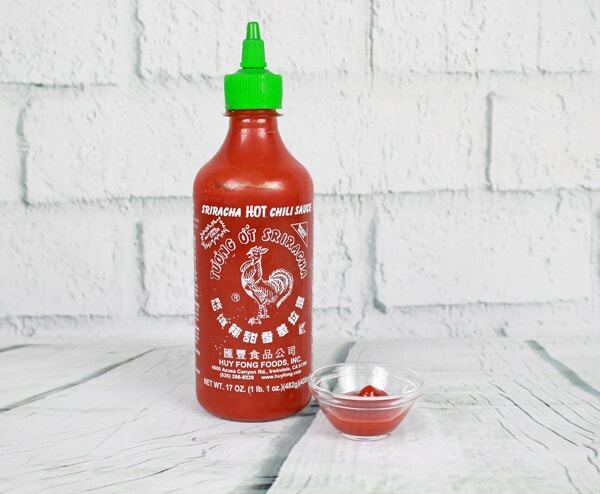 Made from red chili peppers, Sriracha Sauce is perfect for spicing up your favorite foods. It’s a sweet, tangy, delicious variety of hot sauce! Such a great list of items to have on hand! Great list of ideas! I need to stock up so I can make more Asian food at home. These are great ingredients to have on hand in your pantry. Makes cooking Asian-inspired recipes so easy! I also use some of these Asian products for other types of cuisine. Like the sambal oelek (red chili paste), it gives certain recipes a nice kick! You are right….I have many of these, and if you keep them on hand, you can easily make an Asian-inspired meal! I have all of these but the miso. Better run out for miso! Great list! It’s extremely helpful. You’re very welcome, Mike! 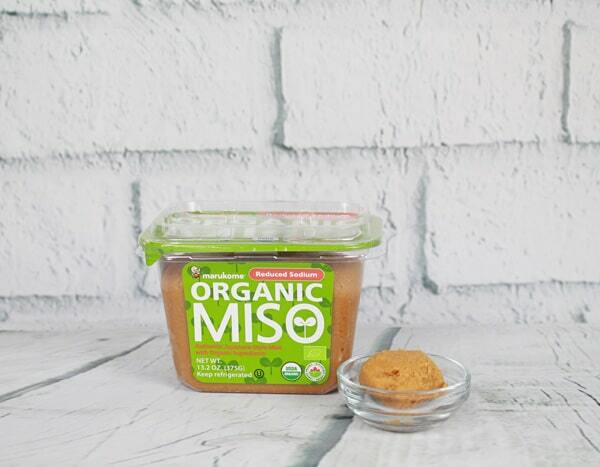 Miso can be kept in the fridge for quite a while. It makes a great sauce for many proteins. I have to agree I have all of these in my pantry. Yay, happy to hear that! Just having these essential products makes Asian cooking so much easier.